Mainz 14th August 2007: The City of Mainz, lies on the bank of River Rhine, is best known for its Baroque style Churches. Situated some 35 km west of Germany’s biggest commercial city of Frankfurt, Mainz’s Old Town, its inner city, is the pride and joy of the city-scene. Mainz has been the home for the Rapid Chess for the last 7 years. And India’s super Grandmaster, who has won 9 times the Rapid Chess Title, Six Times in Mainz, is determined to make a world Record of winning an event for the 10th time. The 14th Chess Classic which began on Monday the 13th August in the Rheingoldhalle in Mainz with the draw of lots for the two main events of Chess960 and Grenke Leasing World Rapid. 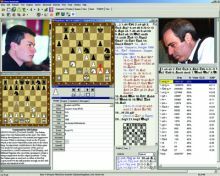 The Chess Classics 2007 will have two Major Rapid Events, first the Finet Chess960 World Rapid Championship with Finals on 16th August followed by the usual Grenke Leasing Rapid world Championship in which Vishy Anand is the defending Champion for the last 9 years. In these two events Vishy Anand, Levon Aronian, Etienne Bacrot and Rustam Kazimdzhanov will compete for the coveted titles. Lots for the pairing and colors were drawn and Anand will have two blacks and a white on the first day. A few hours from now Anand will play his first game of Chess960 World Rapid Championship with black against Rustam Kasimdzhanov followed by a game against Bacrot and in the 3rd game will have white against Levon Aronian. Chessdom: Anand, You are participating in Chess960 for the first time, What motivated you to play in Chess960? Anand: Well basically it is first time I have been invited to play in a mixed tournament and I think it will be quite interesting. It is true that Rapid genre was invented round about 1998 or so and I have been playing since the first tournament and clearly it is something I enjoyed a lot. 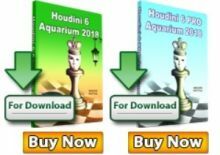 Chessdom: What is the difference between Chess960 and Rapid? Anand: Basically in Chess960 you don’t know where the pieces are, you only find that at the board. So it is impossible to prepare and secondly it is bit disoriented and You actually need sometime before to get a grip on the possibilities and than you start to play normally but I think It also makes it more creative. Chessdom: You will be defending your title for the 10th Time, don’t you think Chess960 will be a hindrance? Anand: I hope not. I think the two formats are quite separate and than you get a day in between the two tournament. so rightly after that tournament finishes the main Rapid Tournament start so I should be able to separate the two. However this time the opponents are quite tough. 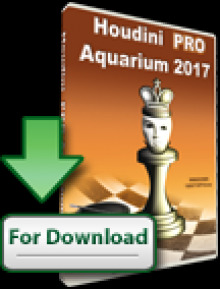 Besides the two Main events in the Opens the young and talented players like Shakhriyar Mamedyarov, Alexei Shirov, Alexander Grishuk, Gata Kamsky, Sergey Karjakin, Krishnan Sasikiran, Pentala Harikrishna, and Arkadij Naiditsch will be amongst a strong list of over 50 Grandmasters and International masters to vie for a place in next years World Rapid. Two special events have been created for under 14 chess players Mini Ordix and Mini Finet. The youngest GM in the world India’s Parimarjan Negi will play in Ordix Open competition.